A new member has joined my growing family last week. I already have two nieces and a nephew, and now with the arriving of baby Khaled they became two and two. I never get over the joy of watching newborn babies moving their tiny hands and mouths in a slow motion. They are so wrinkly but soft and fresh, new but precious! 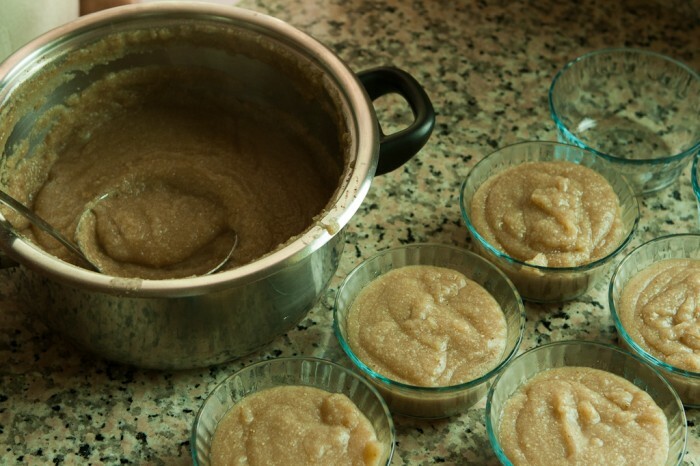 Early in the next day, my mother started preparing the caraway pudding, as if it’s the first thing a grandmother shall be doing right after having a new grandchild. Well, it’s a tradition! It’s not only to be served one time after delivering the baby, but it’s to be served almost every day for a couple of weeks and whenever guests show up to celebrate this occasion. 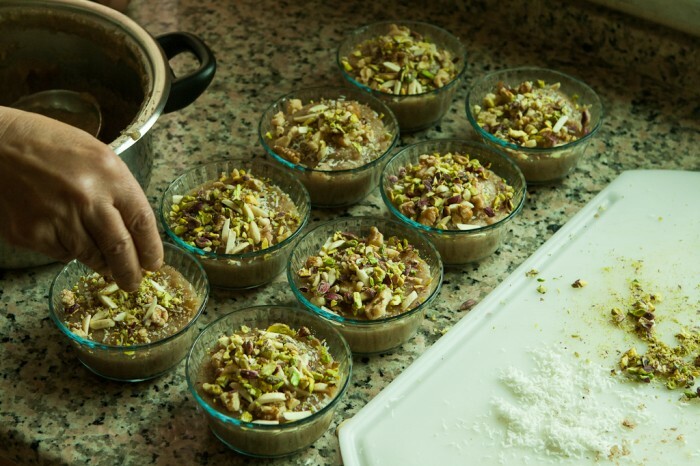 Caraway pudding (called Karawya in Palestine, Syria and Jordan, and Meghli or Moghli in Lebanon) is a well-known dessert in the Levant area, typically made and served in winter and in the occasion of having a new baby. It’s believed to enhance milk production for breast feeding and to improve health condition of nursing mother in general. Caraway pudding, as like any other pudding, is easy and fast to prepare. 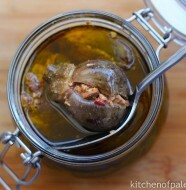 The main recipe that I’m using in this post is the commonly used one nowadays. However there is an older version of Caraway dessert recipe that used to be done before. It’s not as thick as the pudding; it’s more of a hot sweet herbal drink. I tried to prepare it yesterday, and the taste was interesting. 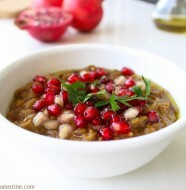 Here I’m sharing the old version of the recipe along with some photos right before the main recipe of caraway pudding. I brought 4 cups of water to boil and added 1 tablespoon of caraway powder (caraway seeds were toasted and grinded to powder) and half a teaspoon of cinnamon powder. I left them all boiling over a reduced heat for about 10 minutes. 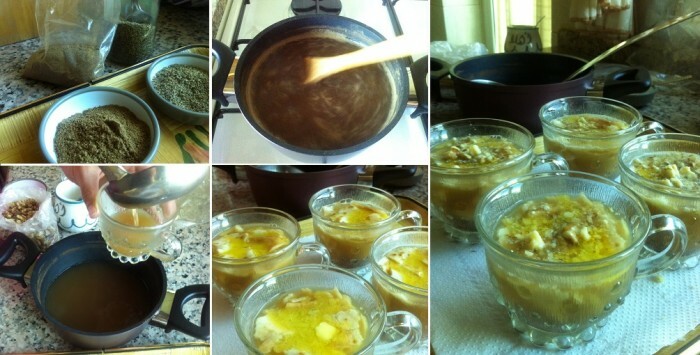 And Then I poured them in serving cups, added 5 small cuts of toasted bread to each cup, 1 teaspoon of melted butter ghee, 1 teaspoon of sugar, and a pinch of crushed walnuts. Place a deep saucepan over medium heat. Add 9 cups of water, rice, caraway, and cinnamon to the pan. 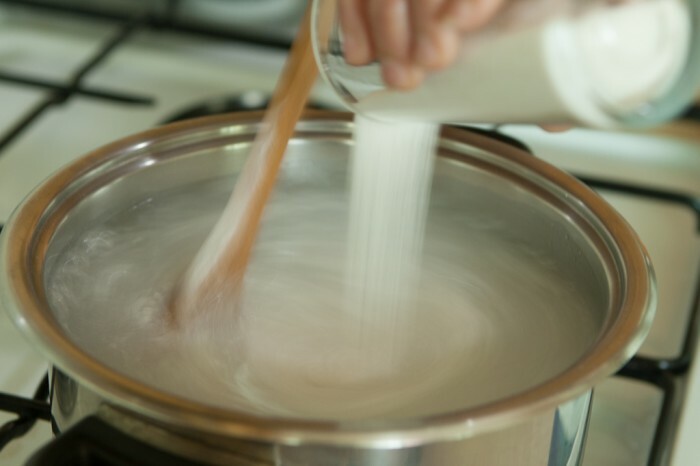 Stir frequently until the mixture is starting to boil. Add the sugar while stirring for another minute. Taste it in order to adjust sugar based on your preference. 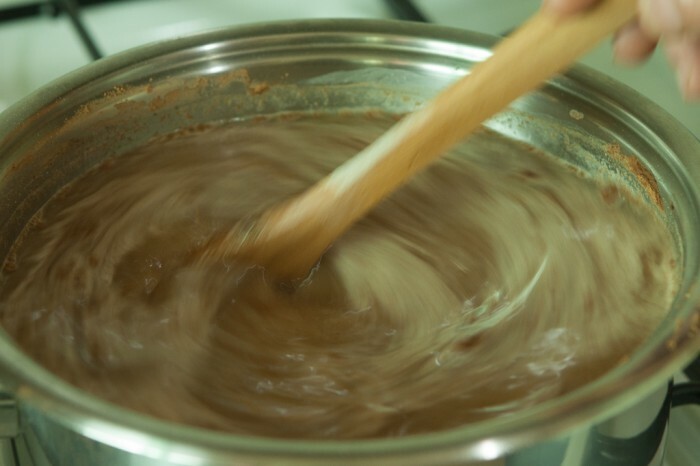 Leave the pudding on a low heat and keep stirring from time to time for another five minutes until it gets thick and bubbly. Pour pudding mixture into small serving bowls. 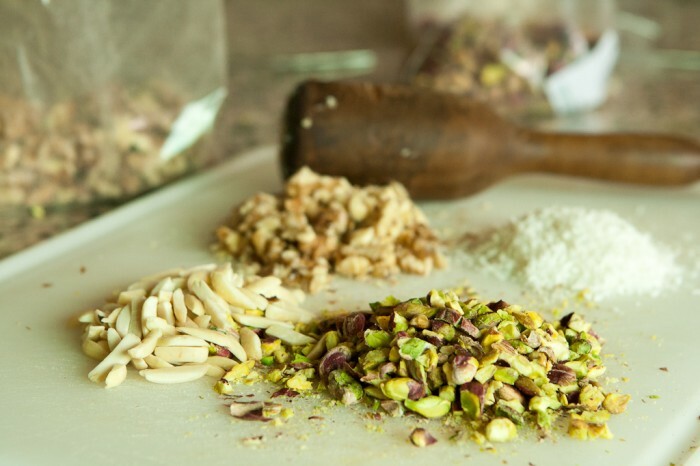 Add 1 tablespoon of mixed nuts (pistachio, almond, walnut, coconut) to each bowl. Serve hot. *It also can be served cold, but of course, it’s more delicious hot from the oven. 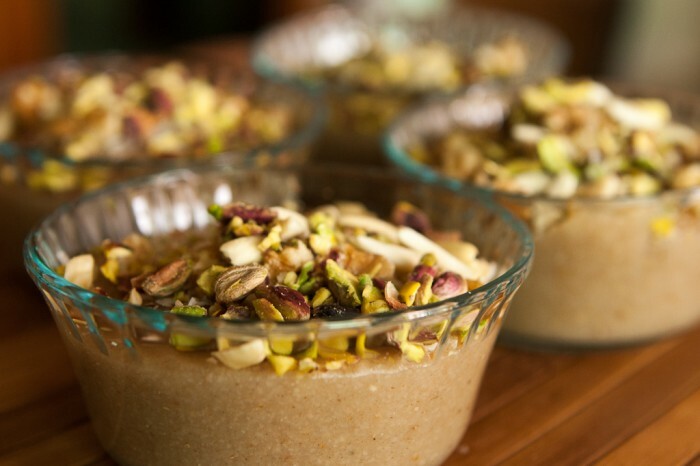 15 Comments on "Caraway Pudding (Karawya or Moghli)"
Should “9 cups of water” be added to the Ingredients block? Thanks Amneh for stopping by.. I don’t usually include water in the ingredients list but you have a point; 9 cups is a good amount of water. 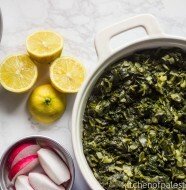 I was hoping if we could use your images and recipe for our upcoming newspaper? Yes sure.. Feel free to use any images you want. If you want pictures with high resolution, please let me know. The above link will direct you towards our newspaper hope that helps. Hello please can you tell me how many serving this recipe make? Around 15. Ideally, the size of serving cups is less than half of measuring cup..
OF course you can, by all means..